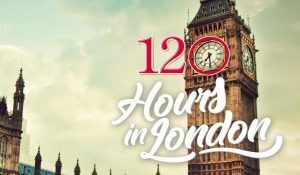 You could win a trip for two (2) to London, England or $6,000 cash! PRIZE. One (1) Grand Prize winner will receive a trip for two (2) to London, England with an Approximate Retail Value (“ARV”) of $6,000 per person. The Grand Prize winner and their guest will each receive: an airline travel voucher with an ARV of $1,000 per person, a four (4) night stay in a luxurious and classic hotel in Westminster, London (single room/double occupancy) with an ARV of $3,000 per person, and an entertainment package that includes: a behind the scenes tour of the world famous Arsenal Football Club Stadium, two (2) tickets for a match, a driving expedition around London’s historic and famous sites, a personal tour and private luncheon at Britain’s leading cultural institution the National Gallery, as well as the opportunity for first class dining; ARV for the entertainment package is $2,000 per person. Trip MUST be taken March 29, 2019 through April 2, 2019. Total ARV of Grand Prize is $12,000.00. Cash equivalent (equal to ARV for winner only) is $6,000.